I’m a Business Intelligence consultant at Apparatus, an IT managed services provider. I help clients with dashboards, reporting, and data visualization. Do NBA teams that attract more tweets during games, win more? 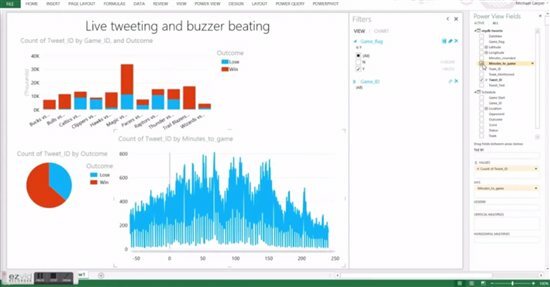 I analyzed the Twitter stream and game scores with Power BI to find out. I think we enjoy tweeting about sports events more than actually watching them. I was curious if this phenomenon corresponded to the game outcome. Helping a client with BI software vendor selection, since I got to get up-close-and-personal with a lot of cool BI tools. Perceptual Edge, because it stands apart from this or that specific tool, and instead critically analyzes overarching issues of information visualization. I was a student! I graduated from Wabash College in May 2013, where I studied Latin and Religion. I began work at Apparatus immediately afterwards.